Rigid Vs Flexible PVC – Which Is Best? In the world of PVC not all pipes are created equal. There are different thicknesses, colors, and a wide range of sizes. In addition to all that, there is a relatively new type of pipe on the PVC scene – flexible PVC. 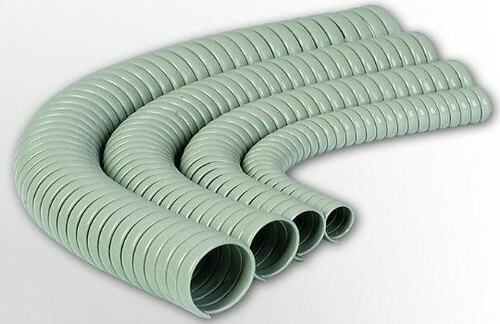 Flex pipe (sometimes called hose or tubing) has a similar chemical makeup to rigid PVC, but it has added plasticizers that allow it to bend more easily. Flexible PVC has gained popularity in some markets for its pliable properties, while some insist rigid PVC is superior. Which is best for your application? Let’s take a look at some of the pros and cons of each. Rigid PVC is probably what comes to mind when you hear “PVC pipe”. It is the hard plastic pipe that keeps its straight shape unless you apply extreme heat. The installation of PVC pipe is more complicated than flex pipe. When installing a rigid PVC pipe system care must be taken to plan for and install special connections between pipe sections and at each directional change. This means if you want to make your pipe go around a corner you need to measure, cut, and glue in a special corner connection piece called a fitting. 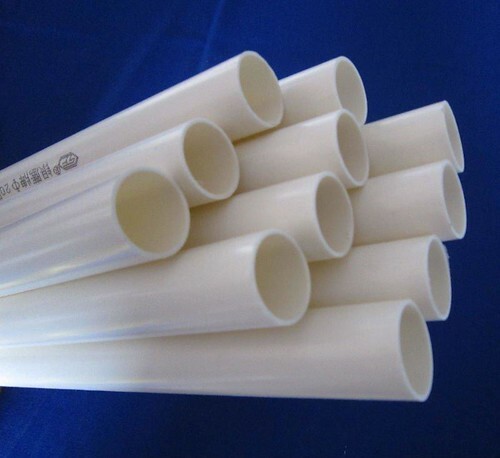 Though installation is more labor intensive, rigid PVC pipe is generally a good deal cheaper than flex PVC. It also comes in a wider range of sizes. Flexible PVC is newer to the pipe market, but it’s easy to see the benefits. With flex PVC changing the direction of a pipeline is easy, just bend the hose. No cutting or measuring or gluing in an elbow just to make a turn. 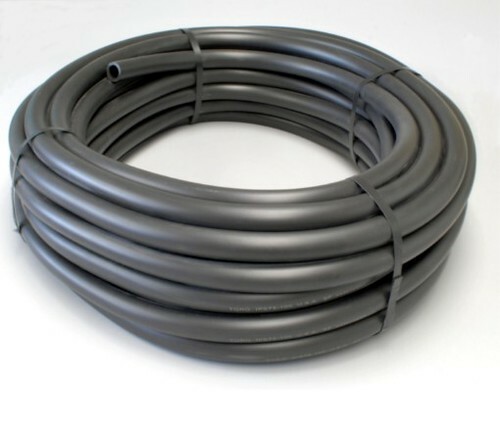 Flex PVC also comes in much longer lengths than rigid PVC, meaning fewer connections between pipe sections. Though flex PVC makes installation much simpler, it does not come in large diameter sizes, and it tends to be more expensive than rigid PVC. Some also criticize flex PVC for being damage prone – whether it be from crushing, puncturing, or insect infiltration. So which one is right for your project? I’ve heard fierce proponents from both sides of the PVC dispute, and my conclusion is that it really depends on what you’re using it for. Most still believe rigid PVC to be best for standard plumbing systems. When it comes to installing a piping system that is going to last for years and years you really can’t beat the mechanical strength of rigid PVC. 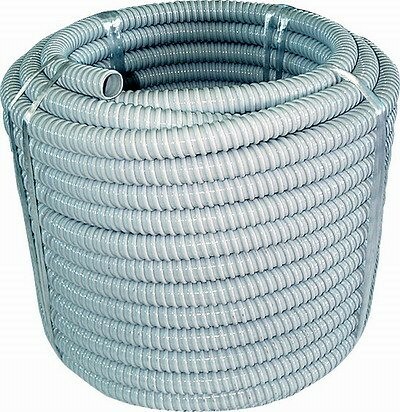 Flexible PVC can be a great alternative for small projects like aquarium building or above ground spa connections. Because of flex PVC’s softer properties however, I would stay away from heavy duty or underground applications. This article was written by Amanda Hill, the content manager at PVC Fittings Online. Want more advice on working with PVC? See Amanda’s articles on the Commercial Industrial Supply Resource Center or follow her on twitter @AmandaBlogsPVC. Wether its rigid PVC or flexible, Amanda knows the appropriate use for your project.